Finding the most suitable hearing aid for you or your loved one, fitting your budget, lifestyle, and type of hearing loss can be a daunting task. Over a dozen hearing aid brands on the market develop new models yearly. I was struggling to figure out what the best hearing aid was for our 9-month-old son who has a hearing loss. Since then he has used 3 different hearing aids from 2 different brands. In this article, I’ll give an overview of my research on hearing aid manufacturers and the different options and features they offer. This independent guide will hopefully give you more insight in which brand of hearing aid is best and what model might fit your needs. Then, discuss the options with your audiologist or hearing professional. Phonak – A Sonova brand. Switzerland. Since 1947. Partners with Unitron, Hansaton, Advanced Bionics and AudioNova. Sonova holds 24% of the market in sales. ReSound – The GN Group. Denmark. Since 1943. 80 countries, 4,100+ employees. Uses iSolate Nanotech to protect their devices from moisture. Signia – Sivantos / Siemens. Singapore. Since 1964. 6,000 employees, 25 countries. 3rd largest hearing conglomerate. Widex Denmark. Since 1956. 100+ countries. Invented the digital in-the-ear hearing aid. Oticon Denmark. Since 1904. 3,000+ employees. invented an internet-connected hearing aid in 2016. Starkey United States. Since 1967. 5,000+ employees. Privately held company. Unitron – Sonova. Canada. Since 1964. 20 international offices. 50 international partners. Bernafon Switzerland. Since 1946. Operates within 70 countries. 500+ employees. Different hearing aid brands pursue a variety of features and designs which help to distinguish them from one another. These include open-fit devices, in-the-canal hearing aids (ITC), completely-in-canal (CIC), behind the ear hearing aids (BTE), receiver-in-canal (RIC), on-the-ear hearing aids (OTE), invisible-in-the-canal (IIC), disposable hearing aids, programmable hearing aids, and eyeglass aids. Depending on an individual’s requirements, different hearing aid brands can offer devices which optimize one or more criteria, including small size, wearing comfort, volume levels, battery life, high-quality audio reception and reproduction, and aesthetics. Many hearing aid brands now also offer a variety of highly advanced features for wearers, including the ability to program the unit, wireless options, directional microphones, and a technology called “telecoils”, allowing specific audio sources to be plugged directly into the hearing aid for maximal reproduction. By law, all hearing aid brands in the United States are compatible with telephone devices and other public services. It is up to the user to choose the device which best meets his/her specific needs. Hearing loss severity. Is the device capable of producing sufficient amplification for a severe or profound hearing loss? Cost. A single hearing aid can cost thousands of dollars. Is it covered by your healthcare insurance? Aesthetics. This is especially important for kids since they need to be stimulated to wear them. Are they customizable? My son likes to swap colors for instance. Audio quality/speech recognition in noise. Does it offer Digital Noise Reduction (DNR) and/or feedback suppression? Battery life. Although this highly depends on the amplification level and the user program, you should not have to change the battery every other day. Durability. Is the device made of high-quality materials, and is it water resistant? Comfort. Try it on and see how it feels! Ease of use. Does it come with an app or remote control that is easy to use? Compatibility with another device. Can your hearing aid communicate with external microphones, phones, or a Cochlear Implant (if you have one)? So what is the best brand? When I was searching for the best hearing aid I was not loyal to a certain brand and I mostly cared about sound quality and features. How do you compare sound quality between brands? You can’t! Sound quality is subjective to a certain extent (it’s a brain thing). A better way is to compare individual models within their category and read reviews of people who actually use them. But since there are so many devices on the market I wanted to make a brand selection first. My first inclusion criteria were: What are the most reputable hearing aid brands. With most reputable, I mean: which brand invests the most in R&D to develop innovative high-quality products. Second: which brands have the best user reviews. The Consumer Affairs website and Hearing Tracker offer many reviews for example. After reading many of them, I made a list of the brands which I think are leading. They are ordered most to least interesting (to me). I focussed on the top 4 brands and researched the models that fitted my needs (behind the ear hearing aids for children with a severe hearing loss). If you filter this way, you’ll end up with a list of probably less then 8 hearing aids that you can compare in more depth. Which brand of hearing aid is best for kids? The Early Years are critical to a child’s cognitive development. Early intervention in children who are deaf or hard of hearing is very important for their communicating skills later in life. Interventions are not restricted to the use of hearing devices but also learning sign language or a combination of the two. Ears grow fast during the first years of their lives. Because of this in-canal devices (ITC, CIC, RIC, and IIC) are not recommended. Choose a Behind-The-Ear model. Is your child’s hearing loss progressive? Make sure the hearing aid has enough power to increase the volume in the future. Is it compatible with mics (for teacher and parents), multimedia devices, and mobile phones? This is particularly important in modern classrooms. Are the hearing aids customizable so kids can express themselves? Durability and Safety. Is it water- and dust-resistant? Can your child get to the battery? 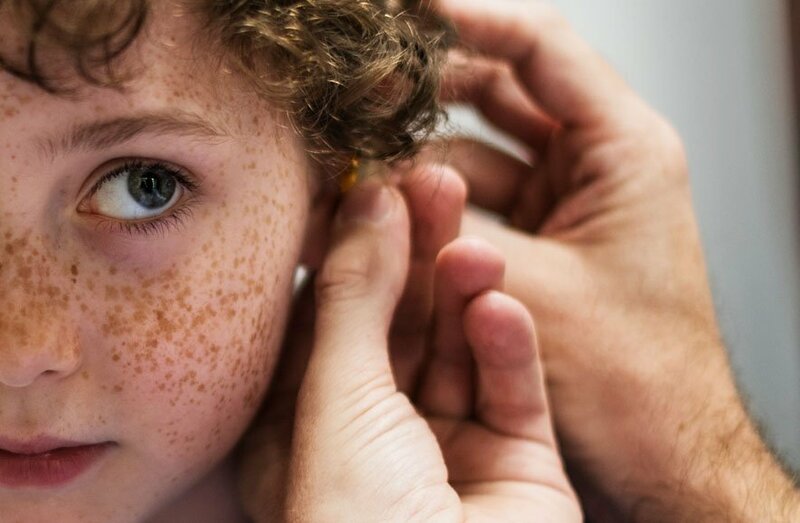 The best brand of hearing aid for kids are ReSound, Widex, Opticon, and Phonak since they have the most models available that check all boxes that are crucial for young children in this modern world. Most brands provide testing periods, so don’t be hesitant to try more than one hearing aid. You will want to pick a listening device that is both comfortable and will most effectively improve your hearing. Discover what features are readily available. You may wish to ask about the possibility of direct audio input which would enable you to use assistive listening devices which can be found in schools, theatres, and other public places. It is essential to have a clear picture of all the expenses involving the hearing aid (including batteries and repairs). You might end up going through batteries rather frequently, so remember to compare anticipated battery life with the cost per battery. It is also crucial to check what the warranty covers. You may want to extend the service warranty. A brand-new listening devices can be a disorienting experience. Become familiar with your listening devices. Make sure you are able to easily put in the new aid, changing the volume control, and changing the batteries before you leave your hearing professional. A common complaint of brand-new users is that their own voice sounds too loud. This generally takes some time to get used to. Another issue is feedback. This is often triggered by a bad fit of the hearing aid or by the buildup of earwax. You will need to see your hearing professional for modifications.